Central Florida announced significant budget cuts due to a 20% reduction in fundraising and a 4% reduction in football related revenues. The cuts include the elimination of six staff positions, elimination of professional development travel, reduction of employee benefits, expanded travel boundaries from three to four hours before permitting air travel, reduced travel squads in football and men's and women's soccer, and possible media guide reductions. The WAC announced significant conference wide cuts to improve their budget situation. The cuts include reducing the size of their post season tournament fields in all sports including men's and women's basketball; freezing all officiating fees; the conference operating budget will be reduced by more than five percent by moving several printed media guides and other materials online, eliminating basketball media day, changing the location of several conference meetings and using more teleconferences, eliminating a intern position and providing no salary or benefit increases for conference office staff. Michigan reported a budget surplus of between $9 and $10 million to the Michigan Board of Regents. Wisconsin-Green Bay is eliminating media guides, saving $20,000 per year. Florida's athletic budget is increasing nearly $6 million for 2009-10. Florida International is eliminating their marching band and will be looking to high school bands to fill the void. Sports Illustrated did an in depth look at the controversy surrounding cheer leading as a varsity sport to help with Title IX compliance. Is Princeton going to have to have any of these kinds of budget cuts? At some point, I'm sure I'll report Princeton's budgetary challenges, which have been well documented for the University ($170million reduction over 2 years), but not yet determined for the athletic program. The best way to say it at this point -- we are not immune to the problems faced by many. Somewhat to my surprise I don't believe any lacrosse programs have been cut in this economic downturn...rather they are still being added. While lacrosse is certainly a growing sport, the reality is that at the Division II and III levels (especially Division III), for many schools, varsity teams (lacrosse and others) are significant enrollment management tools for the institution. The teams provide stable groups of tuition paying students who are more likely to remain at an institution due to their athletic affiliation. 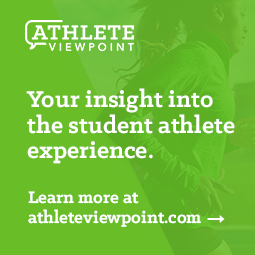 At the same time, the athletic teams enhance campus community and spirit while serving as a marketing vehicle for the institution in areas where they are likely to recruit non-athlete students.